amanda mcclements & metrocurean: ASK AMANDA } Great Main Dish for 40? ASK AMANDA } Great Main Dish for 40? "Any suggestions for a second main dish for a menu that includes barbecued wingettes, potato salad and string beans? I'd considered crab balls, but the cost for 40 people is high! A regional favorite would be preferred." I love ham biscuits for a big group. Get a good quality baked ham and try a soft potato roll like Martin's party rolls (or bake your own biscuits if you want!). You can either pre-make them and keep them warm in the oven, or just set out all the pieces — the ham, rolls, a variety of mustards — for people to assemble themselves. 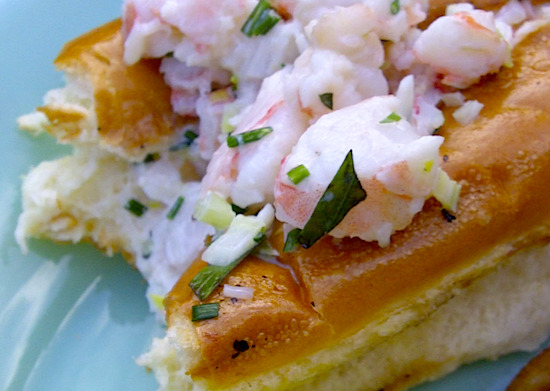 You could also make shrimp rolls, which should be less pricey than crab. They're such a crowd-pleaser. Make a huge batch of shrimp salad (like this one from Luke's Lobster) served with toasted, buttered hot dog buns for people to make their rolls. Put out a can of Old Bay for a regional touch.